Ao no Exorcist: GEKIJOUBAN AO NO EXORCIST SP BOOKLET (pag.40). 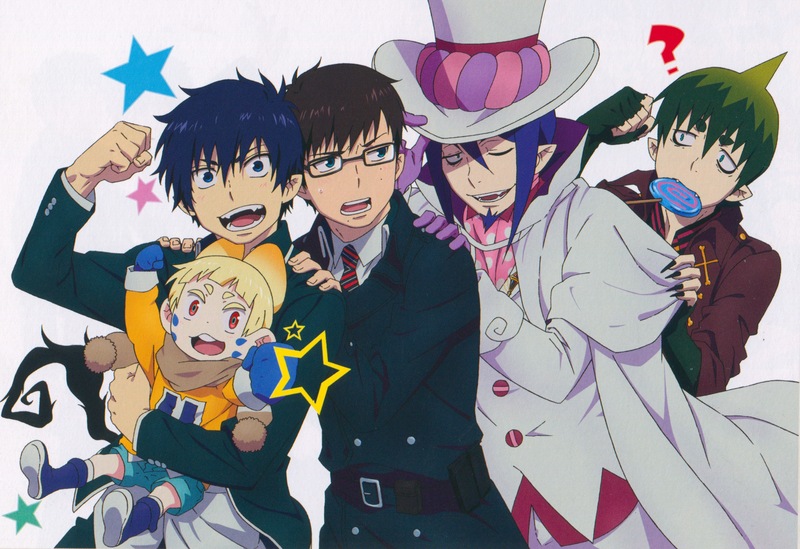 Minitokyo »	Ao no Exorcist Scans » Ao no Exorcist: GEKIJOUBAN AO NO EXORCIST SP BOOKLET (pag.40). This is a image of the SPECIAL BOOKLET (pag.40) of GEKIJOUBAN AO NO EXORCIST. Illustrated by Syuko Tomita / Painted by Nagisa Abe / Finished by Shigenobu Kaihoko.